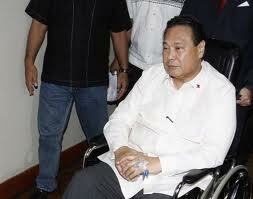 The 5-month long impeachment process has ended last Tuesday, Corona was found " guilty" as charged. In the beginning of the Impeachment trial, I thought that there will be more votes for the acquital but the results only showed 20:3 in favor of guilty for betrayal of public trust and culpable violation of the Constitution for failing to disclose his wealth in his Statements of Assets, Liabilities and Net worth (SALN) as required under the Constitution which is a clear violation of the Republic Act 6713 or commonly known "Code of Conduct and Ethical Standards for Public Officials and Employees" Section 8A. Corona's defense lawyers argued that the law on foreign currency deposits provides for absolute confidentiality, and that failure to disclose is not one of the impeachable offenses provided under the Constitution. Report shows Corona had at least $10 million-$12 million in transactional balances in 82 foreign-denominated accounts. Corona denied the accusations, saying he has only $2.4 million, including interest earnings since the early 1970s, plus P80 million in commingled funds. He said there was no need to declare his dollar deposits in his SALNs because of the absolute confidentiality clause in the Foreign Currency Deposit Act. Let's hope, as a Filipino, we all learned a lesson from this proceedings. Let's not translate and apply the law for our own selfish interest. I learned a lot during this impeachment trial. I think Corona should not have accepted the midnight appointment. Clearly that shows his character. I was able to witnessed this history, I must say. And the Senator judges specially JPE must be commended in any way for a job well done. On the verdict for CJ Corona, I would say, that's enough. I think, he realized already his wrong doings but enough on the stress, panghihiya and panlalait to him and his family. Finally, this is over! At least, from what I heard, he's not going to file an appeal. This historic impeachment trial should serve as a lesson towards good governance whether in the executive, legislative or judicial departments. I also agree with sayitnessie that Juan Ponce Enrile must be commended. I now regard him a statesman, and not a mere politician anymore. For the first time the Philippines was able to impeached a big fish. The VERDICT is just FAIR. is the CHIEF JUSTICE of the Supreme Court. one who BROKE the law. He deserved it. I was really disappointed with how some senator judges decided and based their decision with "konsensya" but lets move on, thank God it's now over!